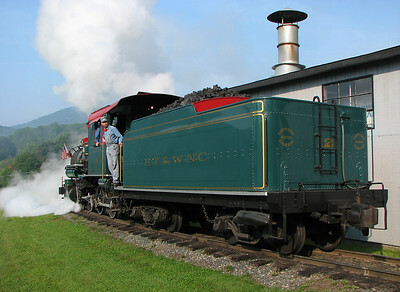 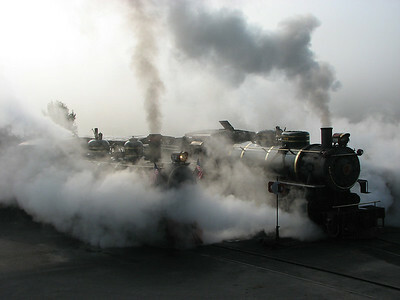 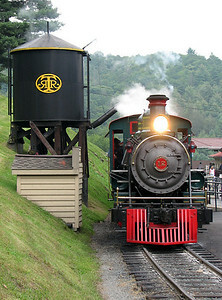 Photos from September 2006, featuring ET&WNC 4-6-0 #12 (Baldwin built 1917) and US Army/WP&Y 2-8-2 #190 (Baldwin built 1943) operating at a Wild West theme park that opened in 1957. 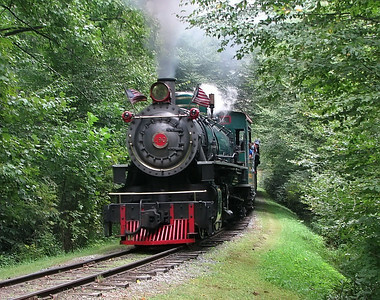 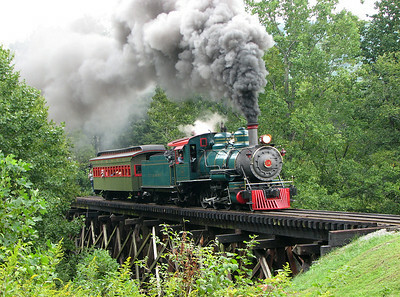 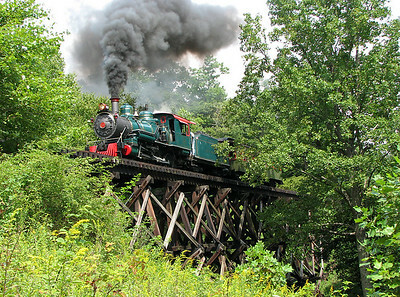 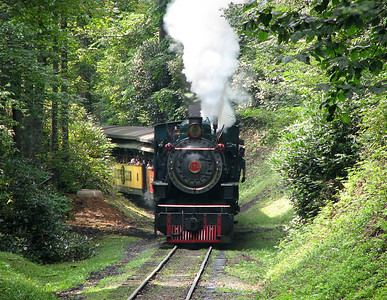 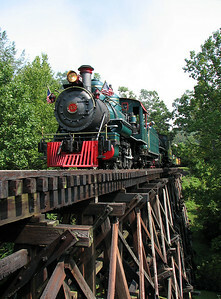 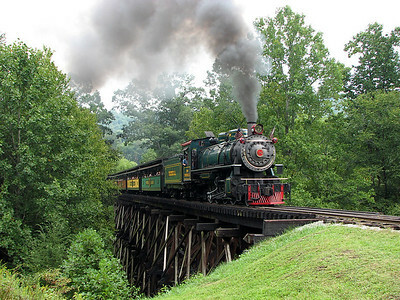 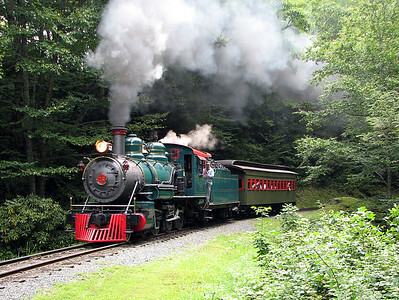 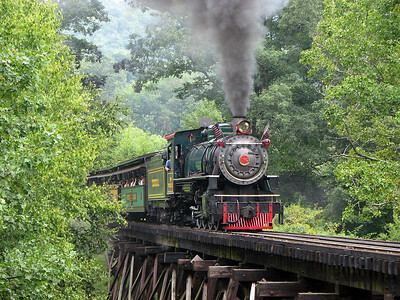 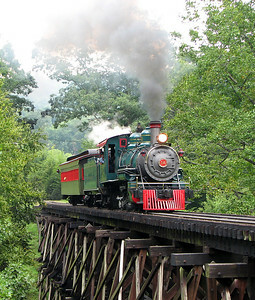 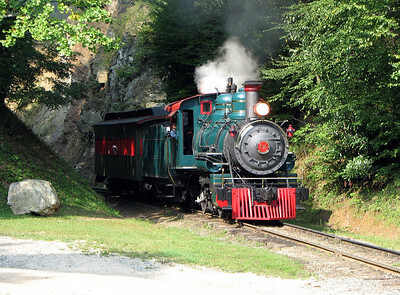 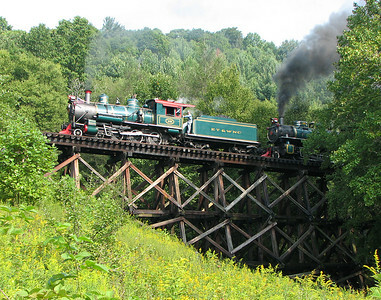 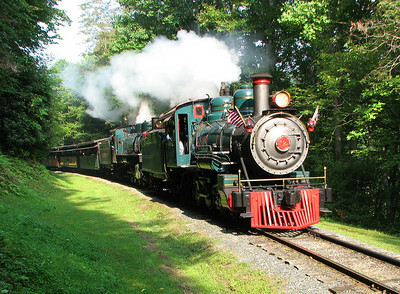 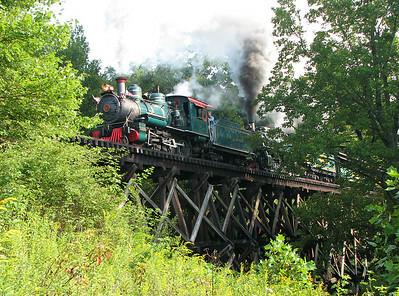 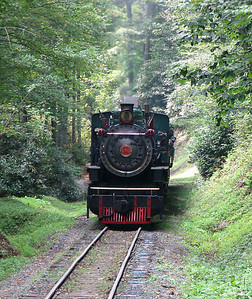 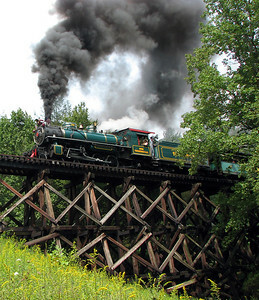 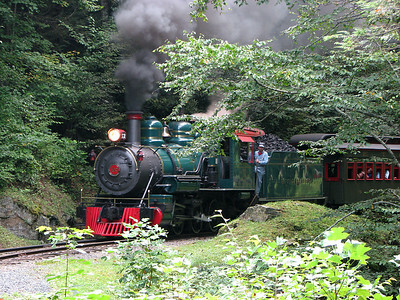 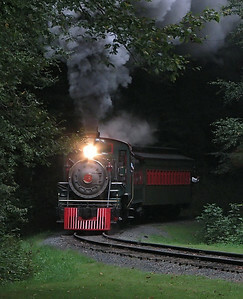 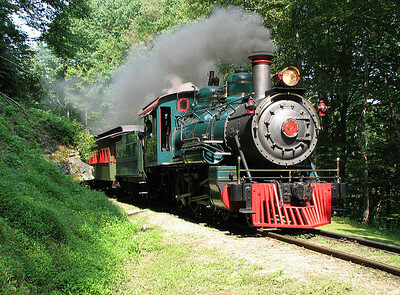 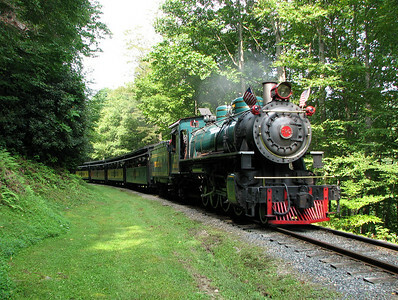 The park features a three mile narrow gauge railroad with a timber trestle and steep five percent grade, and operates the only surviving narrow-gauge locomotive of the East Tennessee & Western North Carolina Railroad. 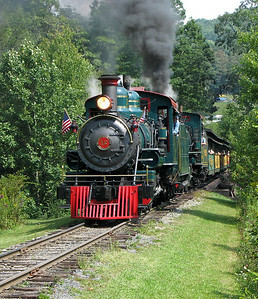 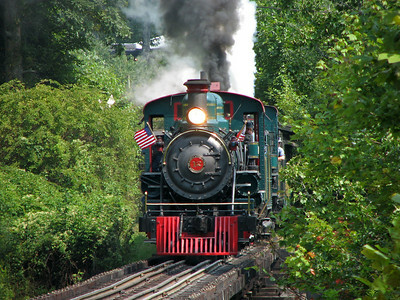 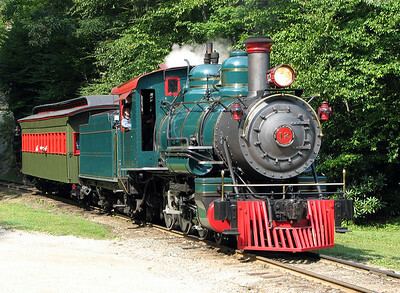 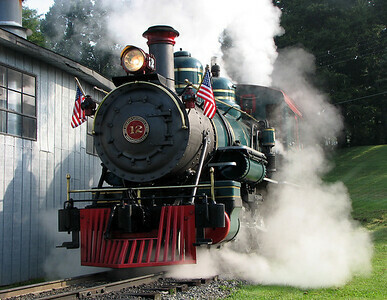 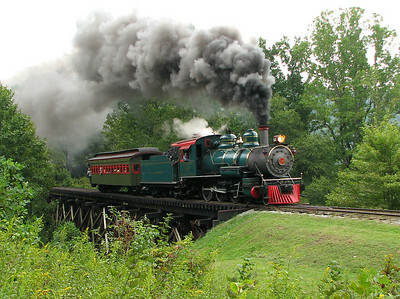 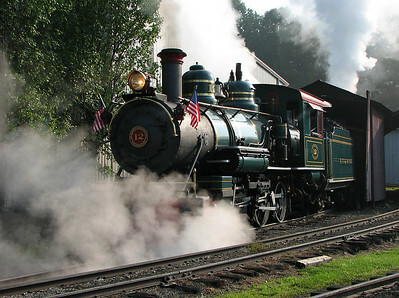 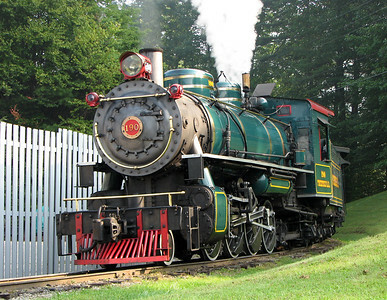 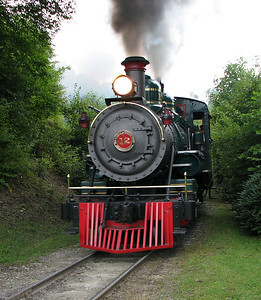 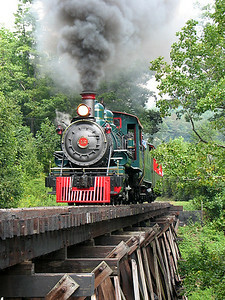 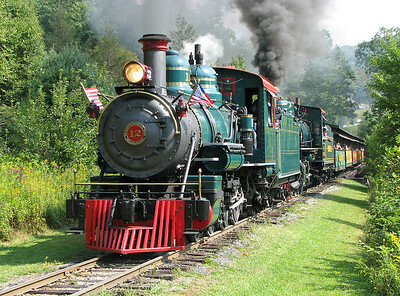 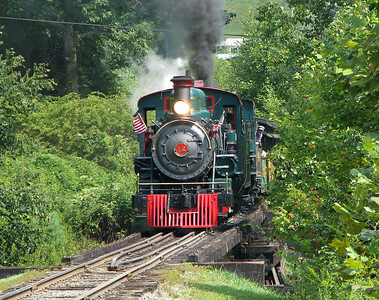 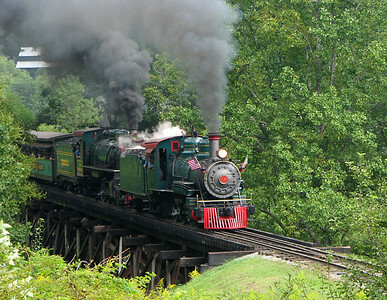 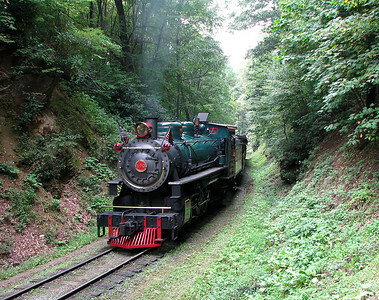 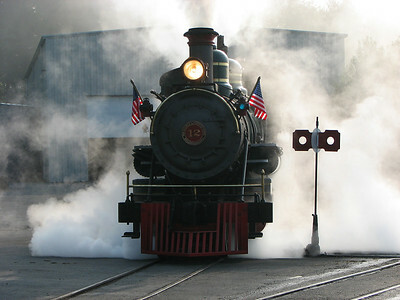 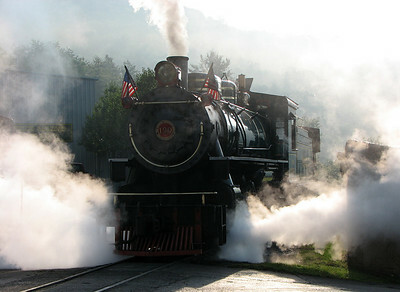 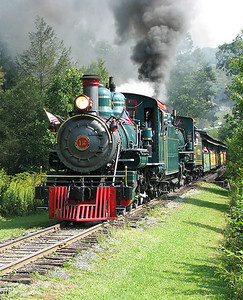 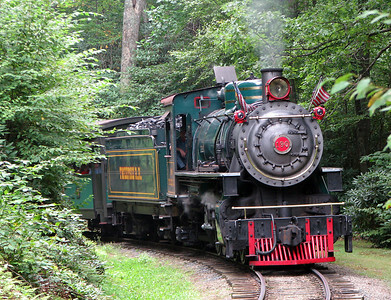 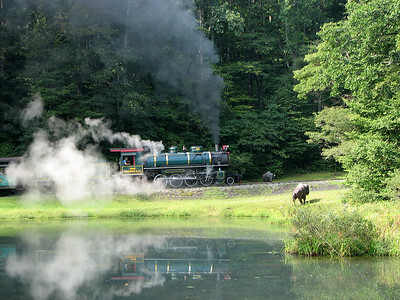 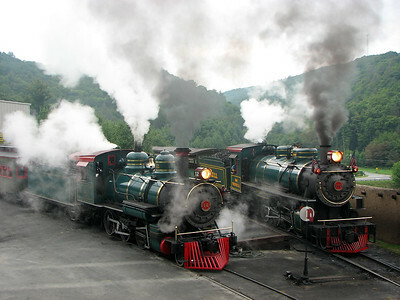 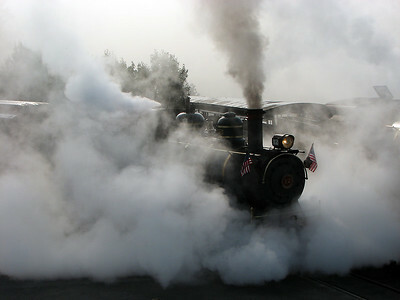 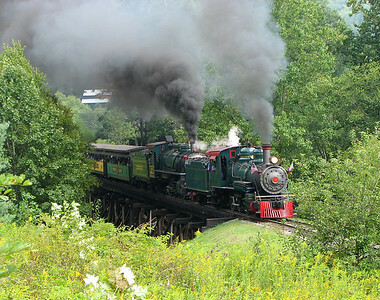 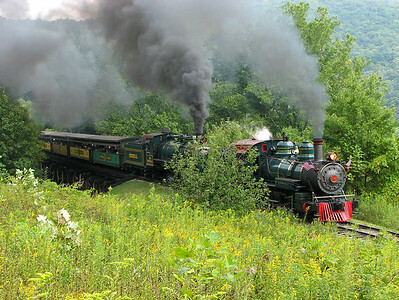 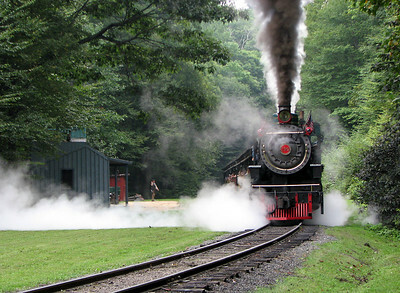 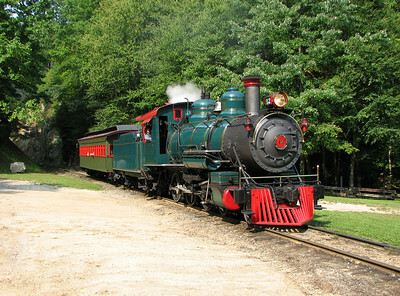 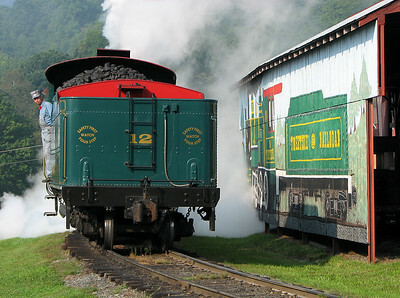 For park information and a schedule of train rides, visit the Tweetsie Railroad Website. 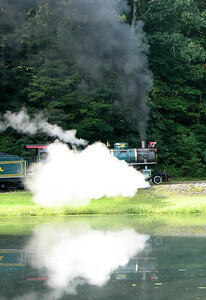 NOTE: Photos in this gallery are not available for sale.